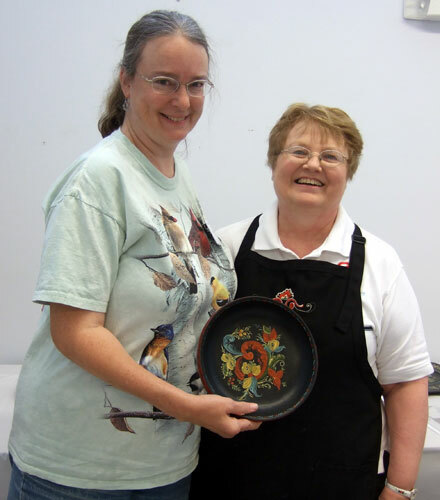 I took my first rosemaling class at Vesterheim Norwegian-American Museum in the summer of 2010. I thought it would be a one-time thing, done primarily to gain insight into one of the characters in my Chloe Ellefson mysteries—Chloe’s mom, who is a Gold Medalist in this style of folk-art painting. To my surprise, I discovered that I loved it! 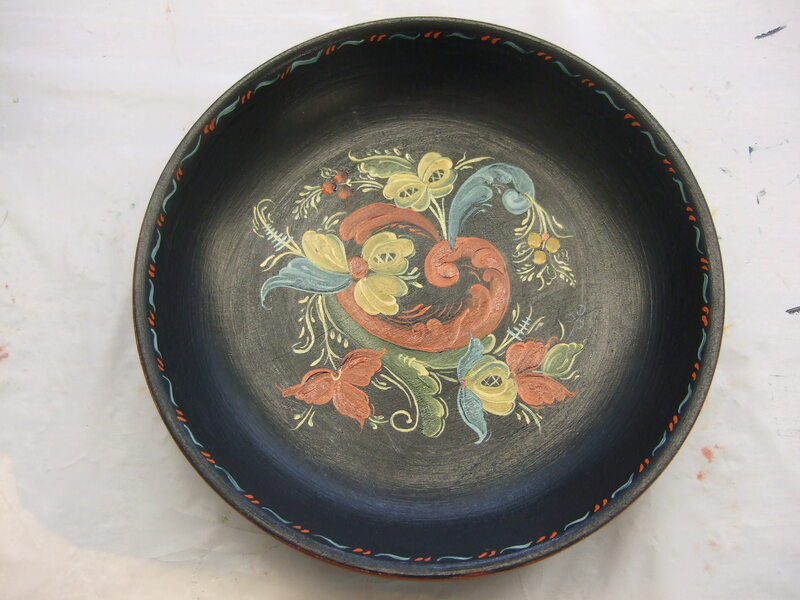 (Check out Rosemaling Through Time to see some examples.) I left that first class determined to do at least a little painting once I got home, just to keep my hand in. Working on my first project, 2010. Well, my life is crazy-busy and that didn’t happen. I returned to Vesterheim last July for my second five-day class having not held a paintbrush for a year. I’d signed up for the beginners’ Telemark class again, and was happy to see several students I’d met the previous year. 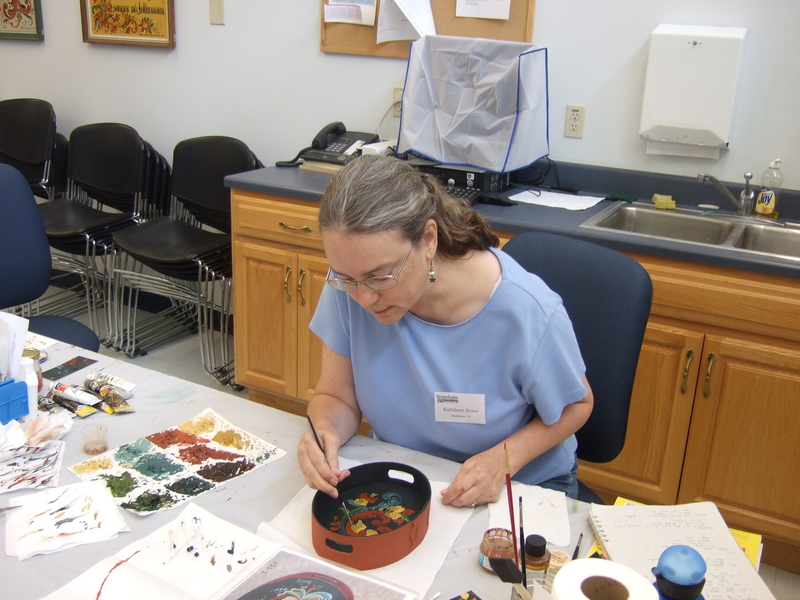 I was also surprised to find several experienced painters in the class, including one Gold Medalist. The experienced students’ work was impressive. Although some things did come back once we started painting, I was frustrated that I hadn’t been able to practice as I’d wanted to. Beginning my first 2011 project, a bowl. 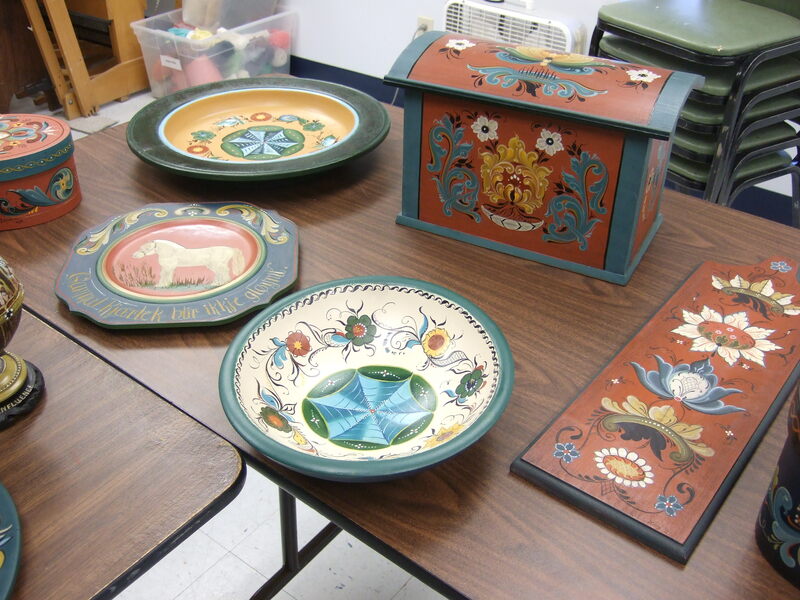 Then I had a chance to see some of the work being done by students in the other class being held at Vesterheim that week, “Freehand Halling Rosemaling.” That class was taught by Tove Ness, an expert who has her own studio in the mountains of Hallingdal, Norway. Not only did Tove’s students produce wonderful, unique works—they accomplished more in a day than I could imagine doing in…OK, more than I could imagine doing at all. Ever. 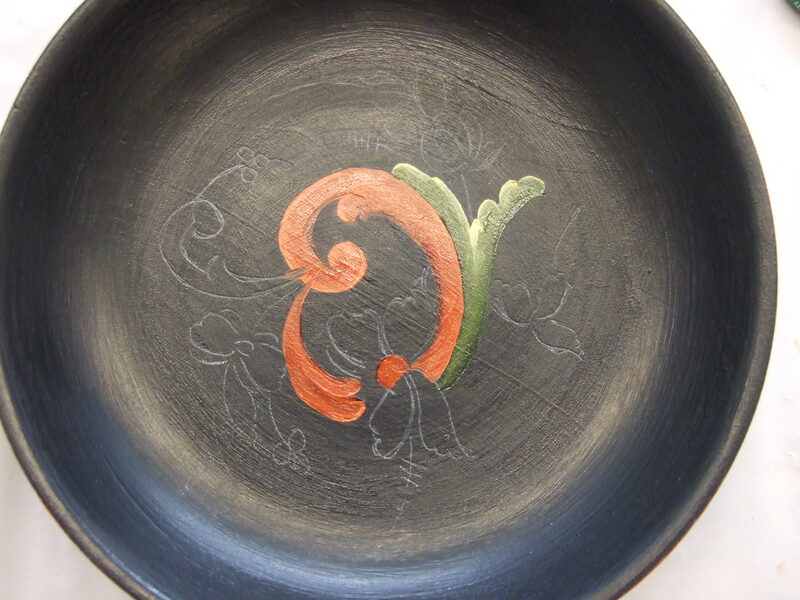 Several exquisite examples of the work done in the freehand class. So for a couple of days my pleasure in being back in a class was tempered by a certain amount of intimidation. Between studying the works of old masters in the museum proper, admiring the pieces entered in the National Exhibition of Folk-Art in the Norwegian Tradition (which happened to coincide with my class), and seeing the amazing work being produced by more experienced students, I felt a bit overwhelmed. Some of the rosemaled pieces in Vesterheim's collection. 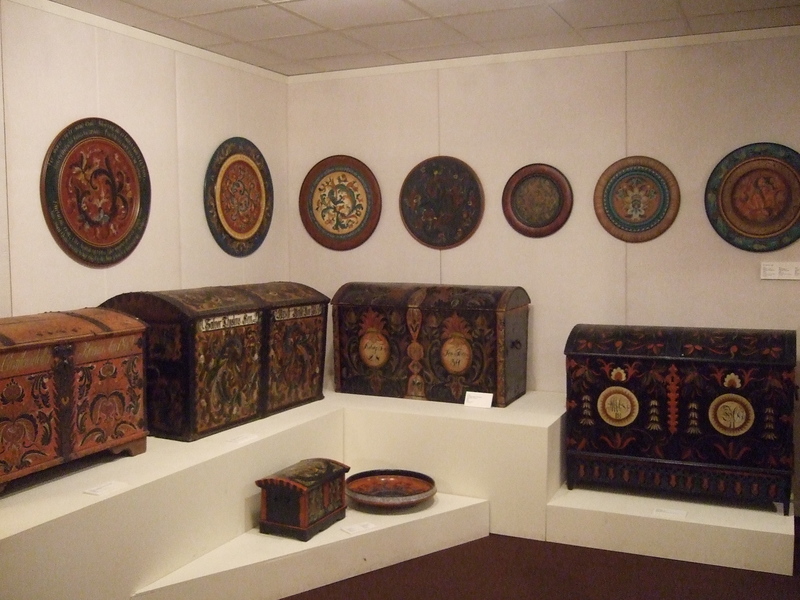 A few of the pieces in the exhibition. Then I happened to overhear my wonderful teacher, Joanne MacVey, talking with another student about her experiences attending a one-room schoolhouse. She mentioned something I’ve heard and read many times: that the younger students tended to advance quickly because they had the opportunity to listen to and observe older students working through their lessons. Although those in primary grades were focused on their own lessons, they subconsciously absorbed some of what the more advanced students were working on. Joanne, who is also a Gold Medalist. And that made me realize I’d been looking at my situation all wrong. Instead of being intimidated, I should be grateful I had the opportunity to learn while surrounded by talented artists and great examples, old and new. 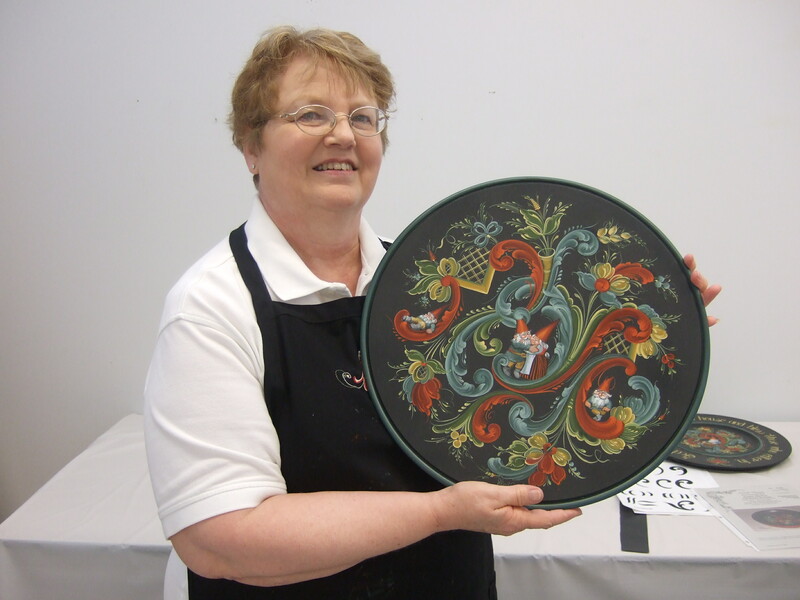 I may be a perpetual rosemaling beginner, since the writing life seems to preclude me finding the blocks of time needed to gain any real proficiency. But that really doesn’t matter. 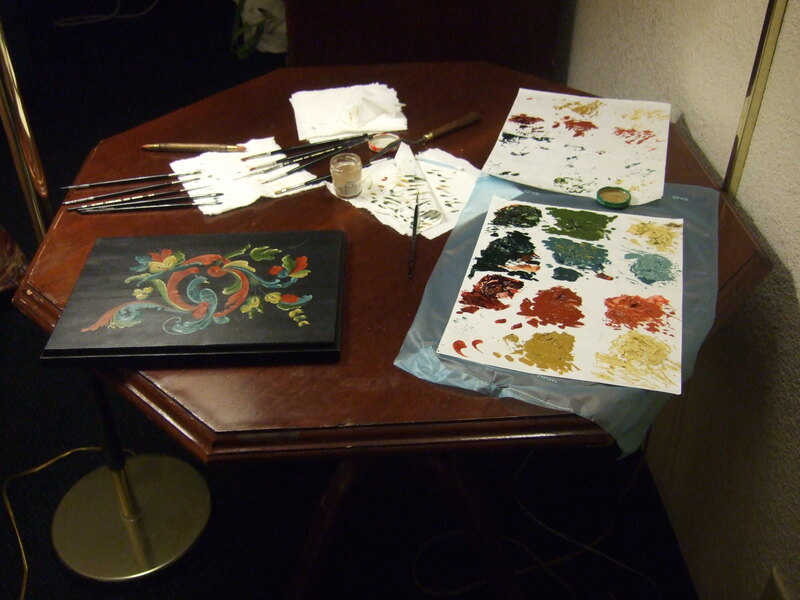 I love painting and its inherent traditions and heritage. I love the challenge of doing something visual instead of creating pictures with words. Taking classes at Vesterheim exposes me to all kinds of knowledge and expertise. It’s something I do for fun, I’ve made some wonderful friends, and stressing about it is really a bad idea. So for the rest of the week, I let myself enjoy the process. We painted a bowl first, and then started a box. I didn’t have the box finished by the week’s end, and since I knew I wouldn’t have time to paint once I got home, I pulled an all-nighter in the hotel room after the final class. 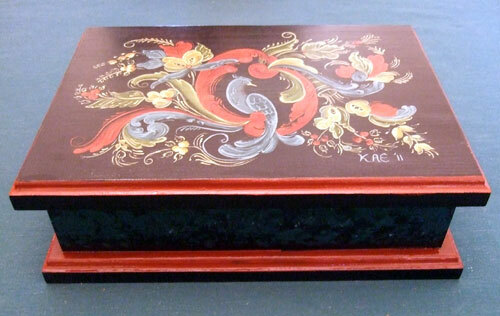 Last week I gave the finished box to my mom for Christmas. Big hit. Diane Weston, former head of educational programming at Vesterheim, said that the student/artist community there is like a family. That’s why a Gold Medalist would enroll in a beginner’s class. 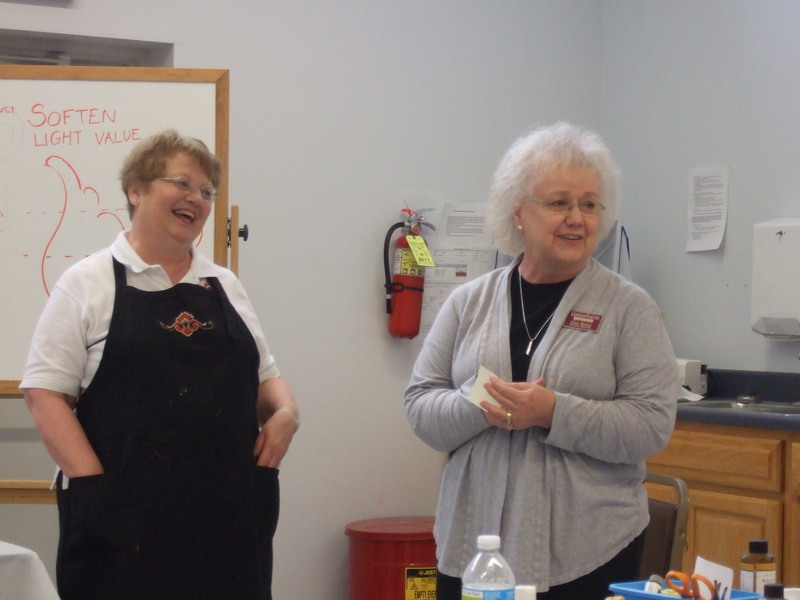 There’s always something to learn, and most of all, it’s fun to spend time with other painters. 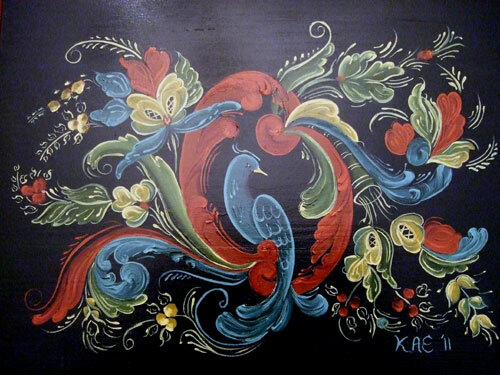 I also think that the global community (or one-room school, if you will) that practices and perpetuates any type of folk-art, such as rosemaling, forms it’s own family. 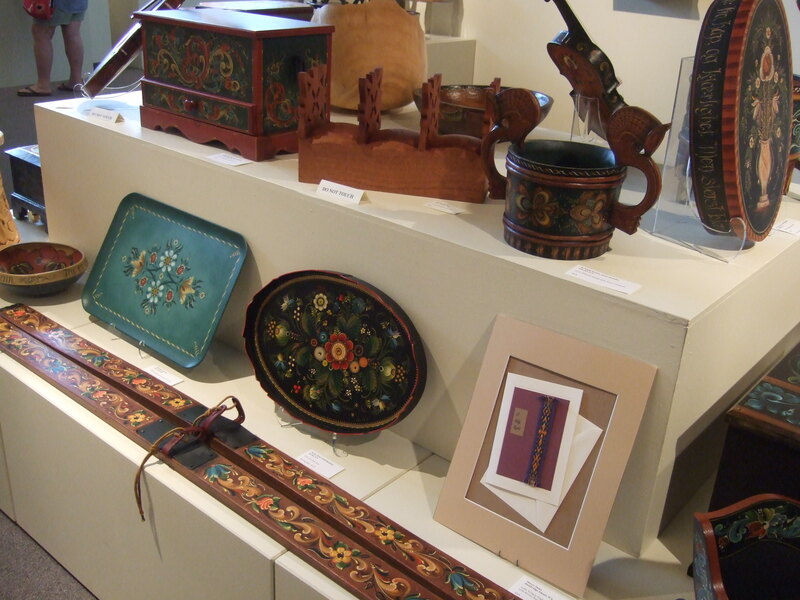 If you’re at all interested in learning more about one of these old handicrafts, see what opportunities might exist in your area, or check out Vesterheim’s class offerings. Most of all, have fun!